Gizzago piloted an industrial scale game console that allowed people to experience urban spaces in new ways using alternate reality technologies. ‘The Future - Urban Arcade’ gave audiences a possible glimpse into the future of urban play and challenges video game stereotypes. 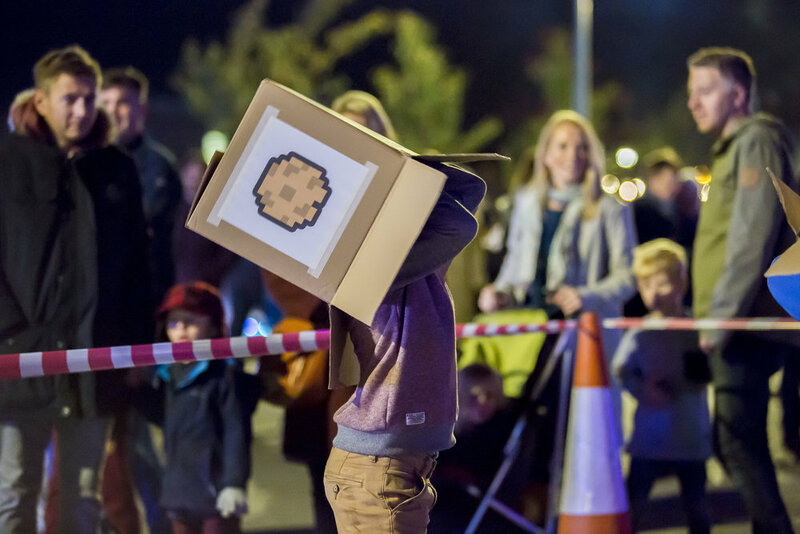 Using traditional and new freeform play, the ‘Retro - Play Street’ offered LLF visitors a chance to rekindle the joy of outdoor play and remember the social value of play. The 'Public Playstation' invited players to reimagine public space and consider how it can be used to make places more liveable. Gizzago’s activities were inspired by site visits to Longbridge, specifically by the connections that world-building and video game programming have to the redevelopment of the site. Their work encouraged participants to consider Longbridge’s public spaces from new perspectives.